Behind RMV Trademarks, LLC, manufacturer and distributor of personal care products, is a team of medical and cosmetology experts, including founder Renata Marie Vestevich. RMV is committed to providing pure, safe, and soothing botanical products for beauty care and good health. Our company has recently launched EES-Essential Eyebrow Solution®, a patented, topical formulation that is used cosmetically to address eyebrow thinning. EES™ lends itself wonderfully to the conditioning and revitalizing of the natural, lush brows associated with vibrant beauty. Our mission is to help women (and men) retain their confidence and vitality while enhancing their innate attractiveness through highly specialized, wholesome products for everyday use. Renata Marie Vestevich is the owner and director of Advanced Hair Solutions in Auburn Hills, Michigan. Her career covers a 30-year span in cosmetology and the hair replacement industry. Recognizing how emotionally distressing both scalp and eyebrow hair loss can be, Vestevich was inspired to further her professional education. She traveled extensively throughout the United States to study with leading hair replacement educators in order to better serve her clients with the most progressive solutions pertaining to all types of hair loss. Failing to find a product that would nourish and protect the eyebrows, Vestevich collaborated with a prominent research laboratory and embarked on a 6-year-long process to systematically fulfill her plan to develop EES – Essential Eyebrow Solution®, obtain patents, and test the formulation for safety, stability and efficacy. Vestevich is fully dedicated to improving the quality of life for chemotherapy patients and others by continuing to develop a full line of safe, natural cosmetic products to help individuals retain a vibrant, healthy appearance. Renata Marie Vestevich is also an award-winning author. 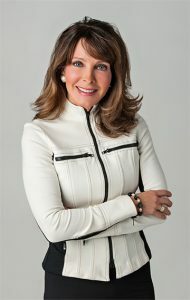 Her book, Grant Me My Final Wish: A Personal Journal to Simplify Life’s Inevitable Journey, was designed to help individuals organize vital statistics and details from their personal documents, plan for end-of-life issues, and express their values and insights gained through living. Vestevich has given motivational speeches to professionals who wish to use Grant Me My Final Wish to strengthen advisor-client relationships, add a humanizing touch to their practices, and address important end-of-life issues with their clients. Aside from her professional life, Renata thoroughly enjoys spending time with her extended family. A health and fitness enthusiast, she enjoys many outdoor activities, especially golf and biking. Other interests include reading, writing and cooking.